Architect Dong Fu and stay-at-home mom Katy Zhang are both Beijingers, but as a family, they’ve lived around the world. In the end, though they had enough of being separated, and returned to Beijing to stay. Reflecting their international upbringing, sons Max (17) and Matthew (10) attend the International School of Beijing (ISB). Max (second from left) has finished an online course and father Dong (leftmost) says it has been an excellent experience so far. Does your child study using online courses? Which courses? Dong: Yes, Max recently started exploring the world of online courses. He actually just completed a course from Wharton Online called Fundamentals of E-Commerce and Digital Marketing. What are his favorite online courses? So far, the Wharton course is the only one he has finished, but he has enjoyed it immensely! In which areas does your child prefer online courses to traditional classes? He was actually quite vocal about this when he first came to [Katy and I] regarding the idea of using online courses: he was surprised by the huge variety of topics that can be found through online platforms, many of which are just not available to him in his traditional classes. What does he like about online courses? Max says he’s loved the way the format of his course allowed for him to pace the course in a way that best suited him. He takes a lot of notes, so having all the material on record and on video makes it very easy to pause at different parts or speed through and review the content. What are the problems with online courses? We can certainly see the price point being an issue for some. But assuming there aren’t too many problems with budget, we think the cost is outweighed by how rewarding some of the knowledge offered by the more “offbeat” courses can be. What’s your view of online courses? They are excellent opportunities for students to branch out in their unique interests that can’t necessarily be covered in school. They also can be a way for students to discover new interests they never knew they had. But they’re probably not for everyone. The online nature can be unappealing to some students who heavily prefer hands-on experiences, and the huge variety available can, I guess, be a little overwhelming. Have you ever studied using online education? Which courses or app? I used online courses in my final year at Tsinghua University, when I was studying for a Masters in architecture and design. It was just a way for me to supplement my course content and make sure I was up to speed with all of my coursework. I did it through the university’s own platform. What’s your favorite online education course or app? I can’t say I was a huge fan of Tsinghua’s own platform. Probably because it was quite a while ago, and the technology just wasn’t as developed. Maybe I’ll revisit it sometime and see how it’s evolved. Max has been using EdX, which I think is one of the main platforms used around the world, and he says it has been an excellent experience so far. What’s the impact on your family life of using online courses? To be honest, other than the two hours or so a day Max would be shut in his room working through the material when he was taking the online course, not much was different [laughs]. But I think that’s actually the best part about it. It’s very convenient. He’s studying with an outstanding professor in the United States, and he can do it from our house here in Beijing. It really makes things so accessible. Mom Li (right) says online courses allow people with the same interests to find each other. Dad Xiong Lei and mom Li run an art education organization together, called Yanhuanji. 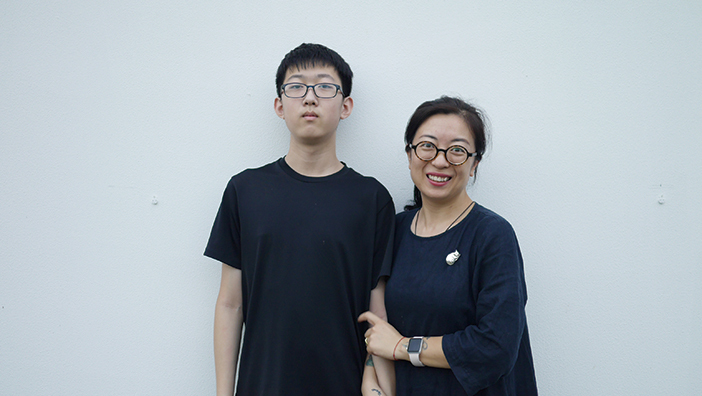 Their 15-year-old son Xiaobu is in the middle of his second gap year! Since 2017, after 15 years of living in Beijing, this family decided their ‘individual travel plans’, and started each of their new lives. Xiong and Xiaobu decided to move to Huangshan and to live a ‘pastoral life’. Li, on the other hand, went to a lacquerware studio in Fuzhou, which has decades of history. However, to this family, a more important decision they’ve made, even compared to their ‘individual travel plans’, is that Xiaobu has started a gap year. Even though they face many challenges, they’re still looking forward to their future. Li: Since we run an Art Education Program ourselves, Xiaobu’s first online class is our own online class. Yanhuyanji (喇빎喇섟) not only has online one-on-one classes, but also offers summer/ winter camps and solo art camps. Yuanhuyanji has been established for eight years, and offers classes ranging from basic online courses, to small group or one-on-one classes. But this is just the beginning, as we will have to adjust our methods of education according to the development of our society. We signed up Xiaobu for an online English class when he was five. But we had to stop after half a year, since the online language education system was not fully developed yet. Even though the teacher was brilliant, there were many communication problems due to the online system. Nowadays, there are many more online language classes and many more choices and resources. But we are more cautious in choosing classes than before. His main focus is still art classes, especially the art history class that he has been taking recently. But the online course that he loves the most is the ‘Kongzi’ weekly online project. 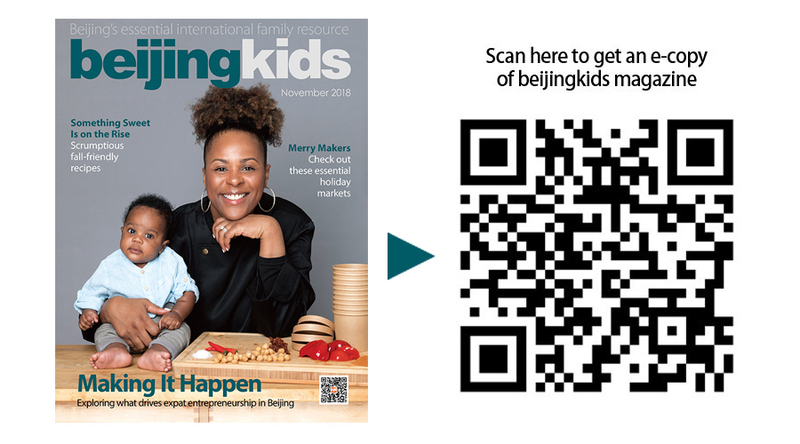 Kongzi is an animated production group formed by one teacher and five children around the same age. It is a project-based learning group, and the students communicate with the teacher on a weekly basis to discuss their ideas about animation. Because the children all live in different parts of the world, such as Beijing, Chengdu, even Hawaii, they get together with their ideas and designs in the summer to create a short animation as their final project. For which areas does your child prefer online courses to traditional classes? We prefer Xiaobu to take all courses online if possible, since we have limited resources at local offline classes in Huangshan, such as for languages, art, calligraphy, and writing classes. They’re flexible. We don’t have to worry about transportation. Good teaching resources are also being shared, instead of being limited due to geographic factors. The main problem with online classes is the lack of communication between people, which is why we have created summer/ winter art camps for our organization. For teachers and students who only have been talking to each other online, if they can meet up during vacations, it will be a better experience for all of them. Have you ever studied using online education? Which courses or apps? I started using online videos and digital books to study Buddhism in 2012, and I could even communicate with other people using audio messages or group phone calls. I think if you want to start learning something new, the best way is to start an online class. I was with many young artists when I was answering this question, and they have given me interesting answers, which I think have more valuable references compared to my own answer. For example, Douban, an online broadcasting station, Bilibili (which has some cool documentaries), the Artsy official account on WeChat, China Daily, and online libraries. It doesn’t really matter what application people use, it is the self-directed learning and exploring that matters. This self-directed learning is exactly what I am looking for in my kid. But you can’t expect this to come naturally, you need to take time and be patient in order to guide your child. No matter whether it is working or studying, online courses have given us so much freedom. It has allowed me to work and study anywhere and anytime, and not just having to sit in the office or take one or two hours to go to class. An online course is not as simple as it seems. I think it is more like a linkage for people between space and time, which allows people with the same interests to find each other.